Good morning everyone. Today a storm is ripping its way up the East coast bringing some much needed rain to Maine and the rest of New England. It has been drier than a boot around these parts. It has been so dry that the waterfall in Camden has been running at a slow trickle these past few weeks. The first piece gets cut away letting in fresh air and sunlight. 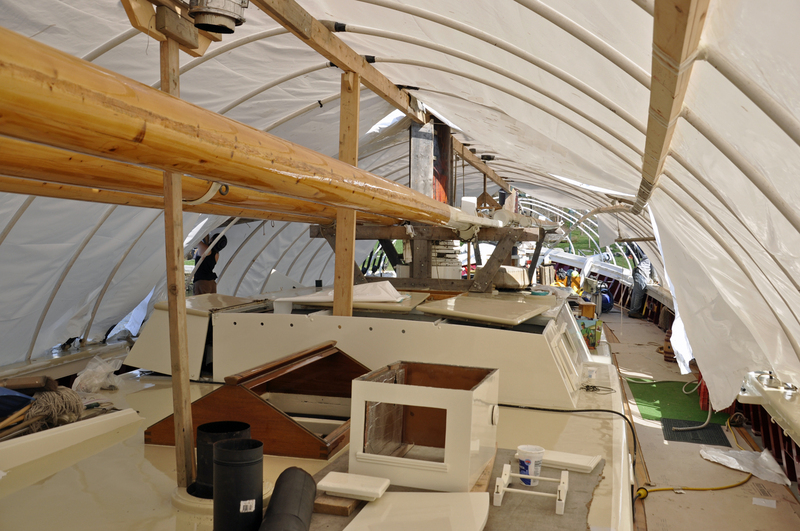 As you can see the crew took the cover off on Friday and Saturday was devoted to rigging, hanging blocks aloft, end for ending and rigging halyards and restoring the main boom to it summer position in her quarter lifts. We also took advantage of Saturday morning’s calm and spun the schooner so she is headed bow out. I lost count of the number of times I came aboard and started for the wrong end being so used to winter bow in configuration. 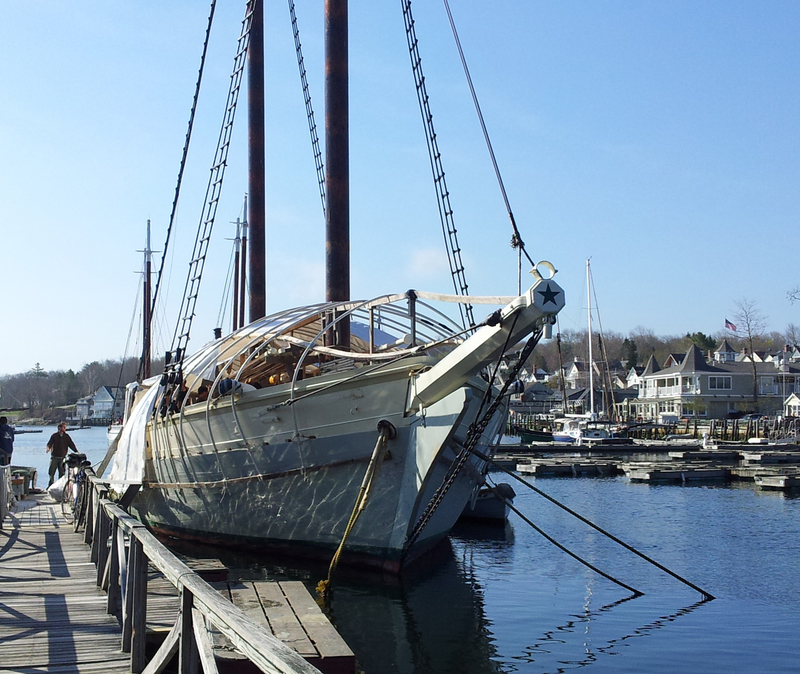 Posted in camden windjammer cruises sailing vacations and tagged maine windjammer prepares for 2012 season on April 23, 2012 by Capt. Barry. Good morning everyone. I took a trip in the wayback machine this weekend. All winter I have been planing to go visit Havilah Hawkins, Jr., son of Havilah Hawkins Sr. who designed Mary Day. Finally I went down to the Hawkins family house in Sedgewick Saturday to visit. 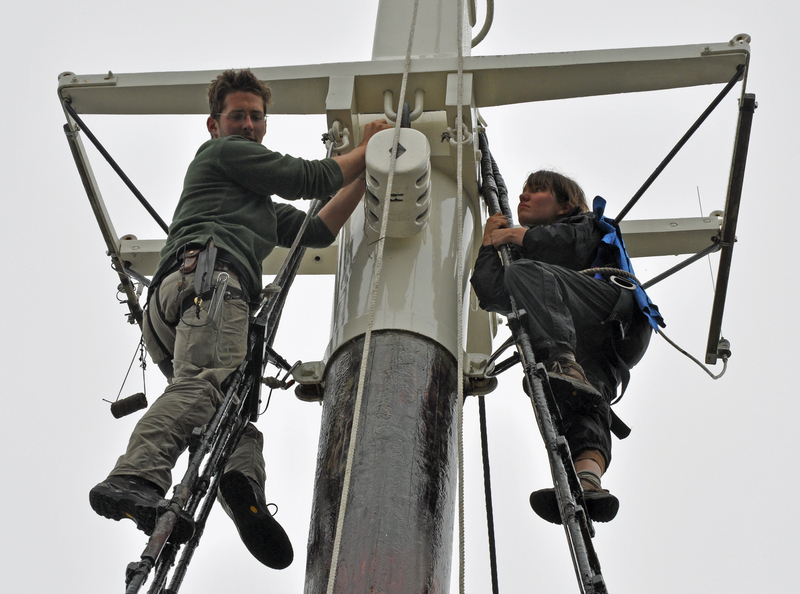 We spent 4 hours pouring through dozens and dozens of photographs from the early days of the schooner. I wished I had a tape recorder running. Just the same, I have a lot to share. Jen and I are scanning like crazy with dueling scanners going in two rooms. I am not certain what will become of all of this. Our goal for now is to get it scanned so that it is at least preserved and available for folks to pick through. I know I am projecting but Harvey Gamage appears to be a lean, strong man. 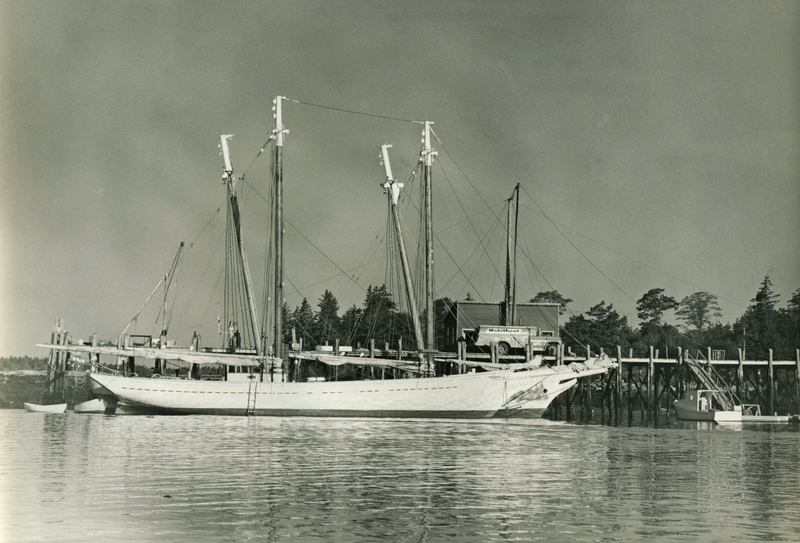 The year is 1964 and Shenandoah has recently been launched and her masts are stepped. The Hawkins and Bob Douglas were already dear friends. 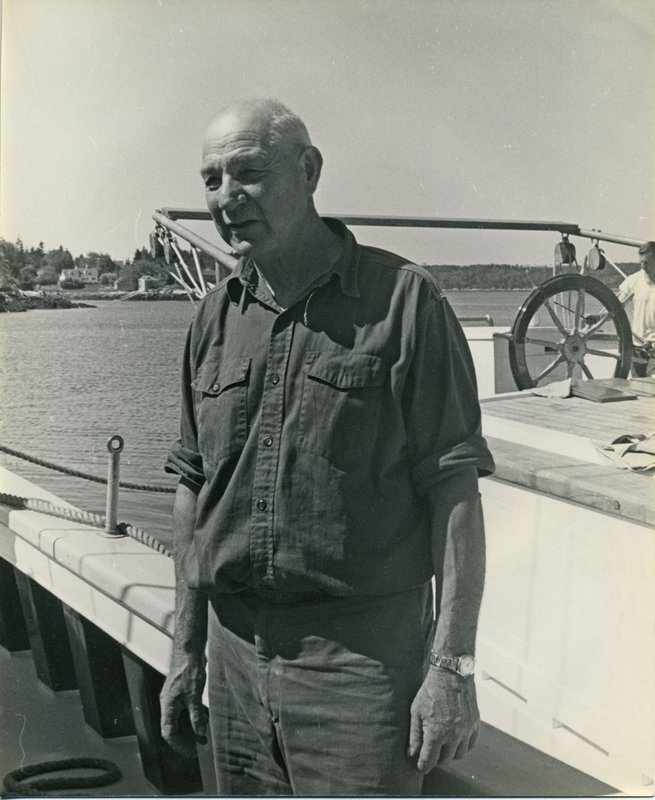 Buds sailed Mary Day from Camden to the Gamage Shipyard at South Bristol just for the occasion. Note that Mary Day is all white. She has lost the black bulwarks of 1962 and the black sheer stripe of 1963. Do you have any old photos out there? We would love to see them. 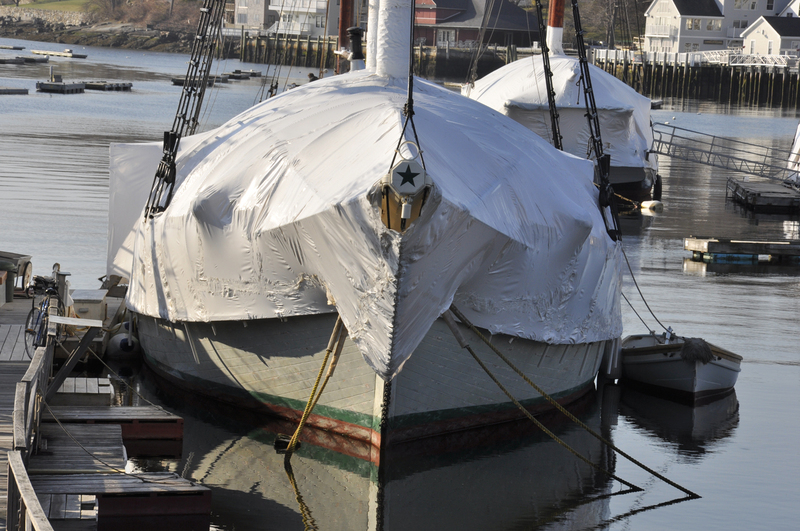 Posted in camden windjammer cruises sailing vacations and tagged history of South Bristol, maine history, maine windjammer history, Schooner Shanandoah on April 9, 2012 by Capt. Barry.